Motor vehicle accidents happen all the time. Most of them are minor and no one is seriously injured. But when these truck, motorcycle or auto accidents are caused by the careless or indifferent actions of others and serious or catastrophic injuries or even the wrongful death of another person is the result, you need experienced personal injury trial attorneys you can count on. At Beck & Eldergill, P.C., our trial attorneys have the experience and skill you need to get the insurance company’s full and undivided attention. Contact us to learn how we can help you. All personal injury cases are handled on a contingent fee basis. If our attorneys fail to gain compensation on your behalf, you pay us no fees. 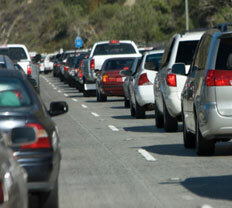 It seems as though passengers often bear the brunt of the damages caused by roadway auto accidents. Our lawyers are experienced in representing passengers who have suffered personal injuries such as brain injuries or head, neck, and spinal injuries as the result of a driver’s negligent actions. In some cases, these suits are filed against the driver of the car in which you or your loved one were riding in. In other cases, family members file wrongful death claims for the loss of loved ones in fatal crashes. Whatever the specifics of your auto accident, it is important that you do one thing: do not talk to the insurance companies without talking to an attorney first. Protect your rights by speaking with an experienced Hartford-area car and truck accident attorney at Beck & Eldergill, P.C. Contact our firm today.